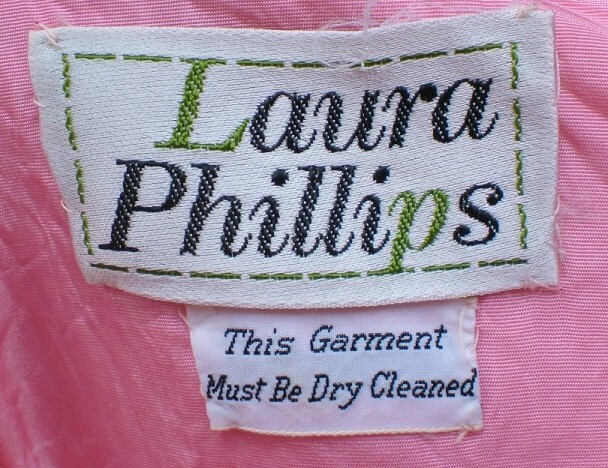 Vintage 1950s pink lace dress and coat by Laura Phillips. This type of lacey dress is so typical of the later 50s, it's bizarre to consider they are high fashion once again; and this one - by designer Laura Phillips - is particularly gorgeous! 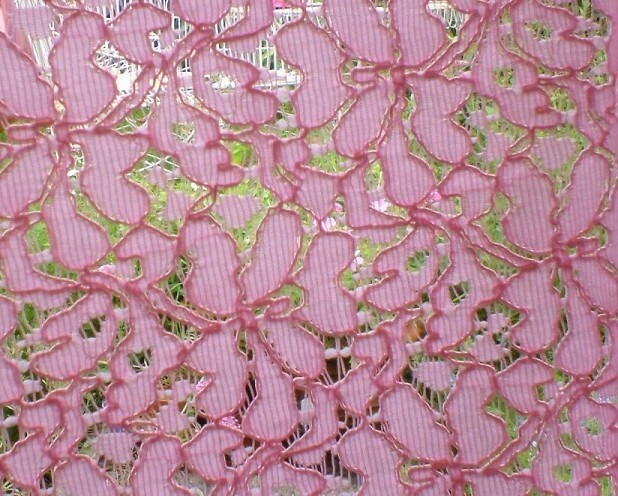 It's a vibrant candy pink, and the lace has a flower pattern. 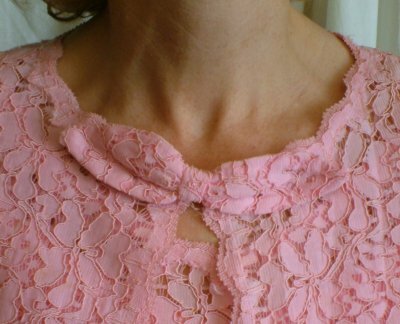 The neck of the dress has a shallow vee at the front, and is scooped at the back; the coat has elbow-length, wide (slightly bell shaped) sleeves and twist detail at the neck; it fastens at the neck with two poppas. The dress has a long rear zip and a hook and eye. Both pieces have been dry cleaned, and are in superb vintage condition. Designed to fit fairly closely, the dress is about a UK size 12, but hard to measure accurately because of the lining (it's big on our size 10-12 model). Approximate measurements are: bust, measured under the arms, 37 ins/94 cms; waist, 33 ins/84 cms; hips, 39 ins/99 cms.